CBSE for the first time had invited online applications from the Principals and Teachers for CBSE awards 2017-2018. While distributing awards, the minister said the teachers as role models have long lasting impressions on the students, therefore, there is a need to humanise education by instilling values. He added that the teachers must be competent to face the challenges of the system and know how to implement good practices and educate since teachers are the nation builders. Rina Ray, Secretary (School Education and Literacy) in her praise to all the awardees said that one of the goals of education is to prepare confident students for future and transform them into socially responsible, virtuous and innovative thinkers while education should be accessible, equitable and should promote excellence. "The role of a teacher is to prepare students by emphasizing on competencies instead of rote learning," she said while exhorting the teachers to take the country forward by encouraging creativity, inquisitive behaviour in class rooms and bring radical changes in education. 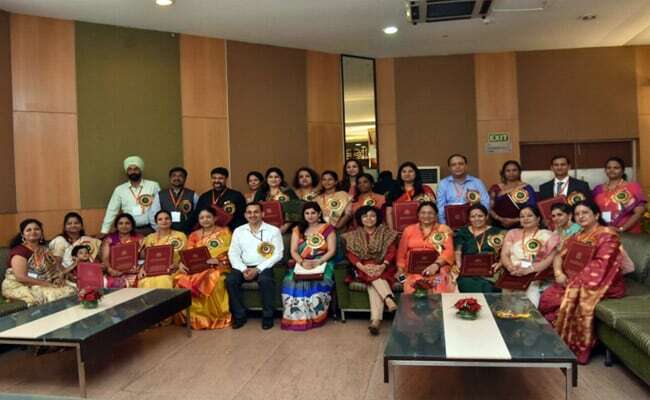 The Chairperson CBSE Anita Karwal said that the world is indebted to teachers for they build the nations, global societies and shape the lives of numerous students through teaching and guiding. Ms Karwal emphasized on Physical and Health Education, Skill Education, Mandatory Teacher Training for five days in a year and use of innovation and ICT. Each award consists of a merit certificate, a shawl and a cash prize of Rs 50,000. General Criteria for all categories of awards, such as Academic Qualifications, Scholarly Contributions, Functional Research, Curriculum, Community and Student Development achievements, awards and honours; specific criteria like effectiveness as a teacher, remedial teaching, contribution of the teacher thereof and, face to face interaction. Besides the Principals the awardees include Primary, Secondary and Senior Secondary Teachers. For the first time awards have also been earmarked for Performing Arts, Special Educators, School Counselors, Vocational, Physical Education & IT Teachers.